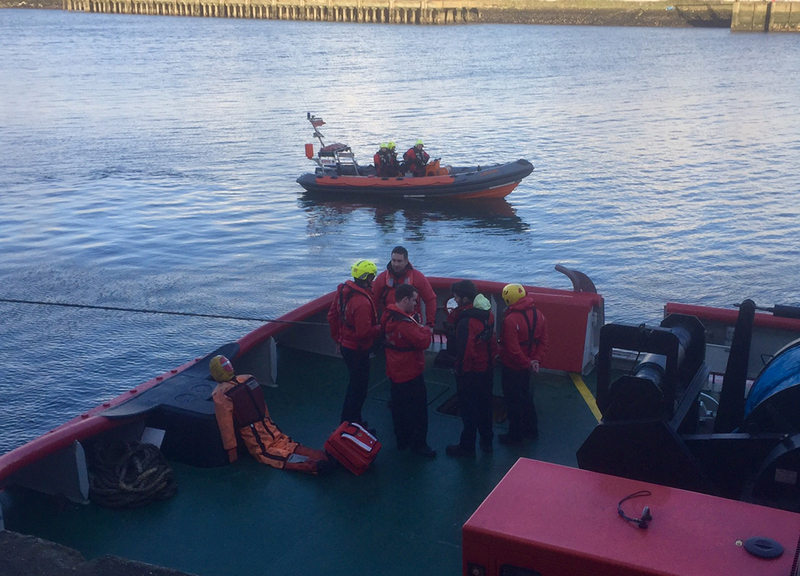 On the 26th of April our Belfast crews were joined in a joint training exercise by members of the Lagen Search & Rescue (LSAR) team. In conjunction with crews from tugs Masterman & Merchantman, the volunteer crews of LSAR conducted two exercises. 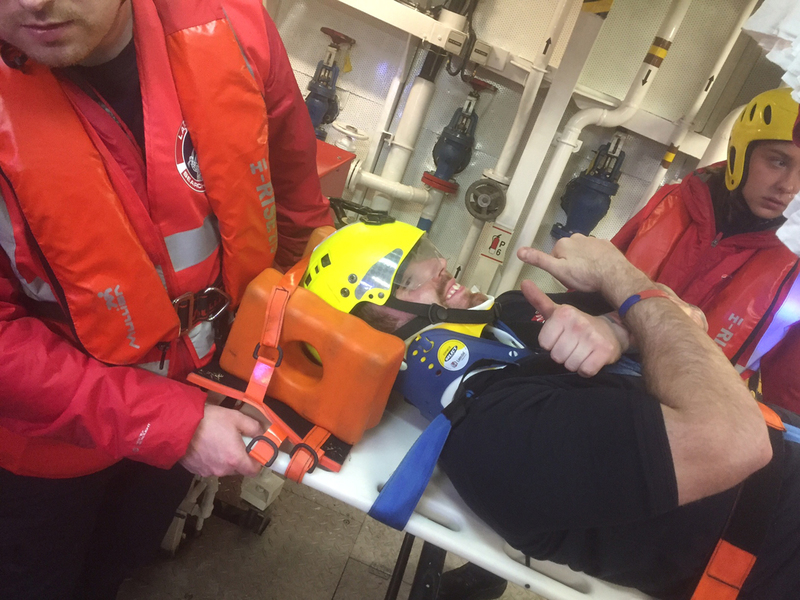 The first exercise was the recovery of the tug’s man overboard dummy from down the aft peak hatch and the second exercise involved the recovery of Captain Ben from the engine room. Captain Ben was very impressed by the professionalism of the LSAR team and commented how reassuring it was to know that this team of volunteers are on hand 24/7 to respond in an emergency. Twelve members of the LSAR team took part in the exercises are were being assessed throughout by instructors.